Supposed images of the Google Pixel 3XL were leaked on Thursday. They support the rumors that the Pixel 3XL will have a notch, much like the iPhone X. 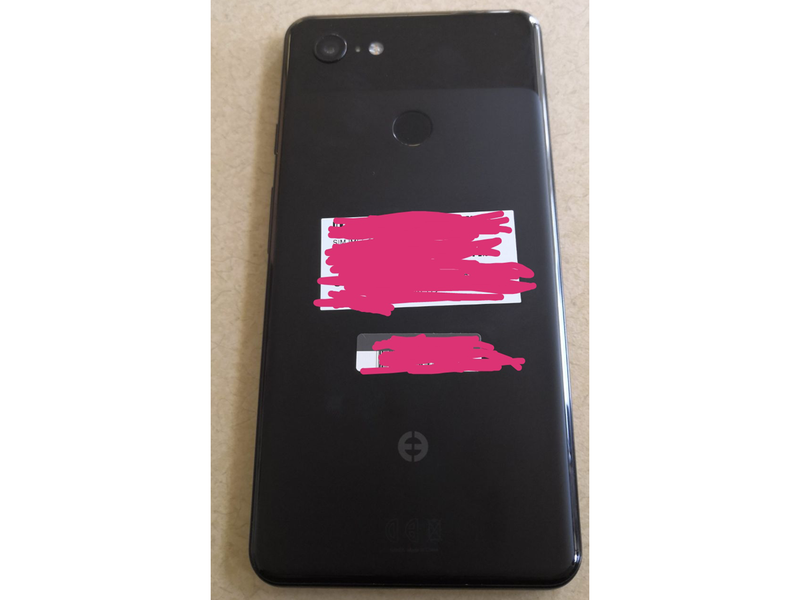 Leaked images supposedly showing Google's Pixel 3XL — the successor to the current Pixel 2XL — were posted on the XDA Developers forum on Thursday. The device in the images above supports rumors from a Bloomberg report on May 30, which suggested that Google's Pixel 3XL smartphone will come with a "nearly edge-to-edge screen," as well as a larger bezel at the bottom that's commonly known as a "chin" below the display. The Pixel 3XL's display will also nearly reach the top of the phone and will have an iPhone X-style notch where the front-facing camera and ear speaker are usually found, according to Bloomberg. The "notch" is a divisive feature among smartphone users. Some hate it, other don't mind it. Based on the leaked images, the back of the Pixel 3XL will look similar to the back of the current Pixel 2 and Pixel 2XL. That's to say it has a glass section at the top, a similarly placed camera, and a matte texture for the rest of the back. The main visible difference is the glossy glass-like edges that run down the side edges and bottom edge of the phone, as well as an unknown symbol towards the bottom of the phone. 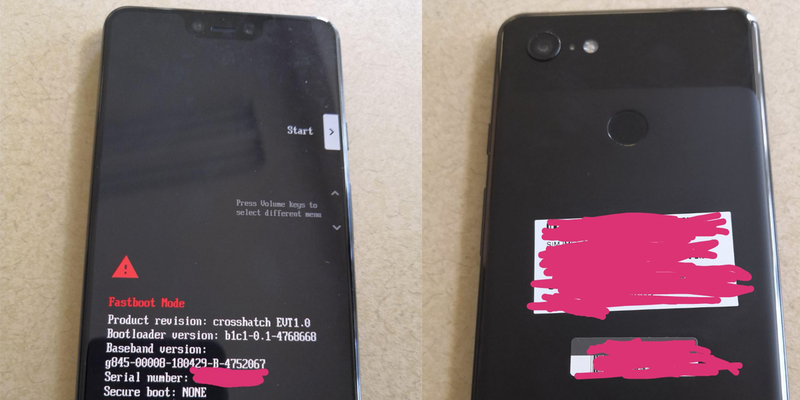 As for the smaller Pixel 3 — which wasn't featured in the leak — it's said to be similar to the Pixel 2's design, according to Bloomberg. That's to say it won't have a notch, and will continue to have comparatively large bezels on the top and bottom of the display. 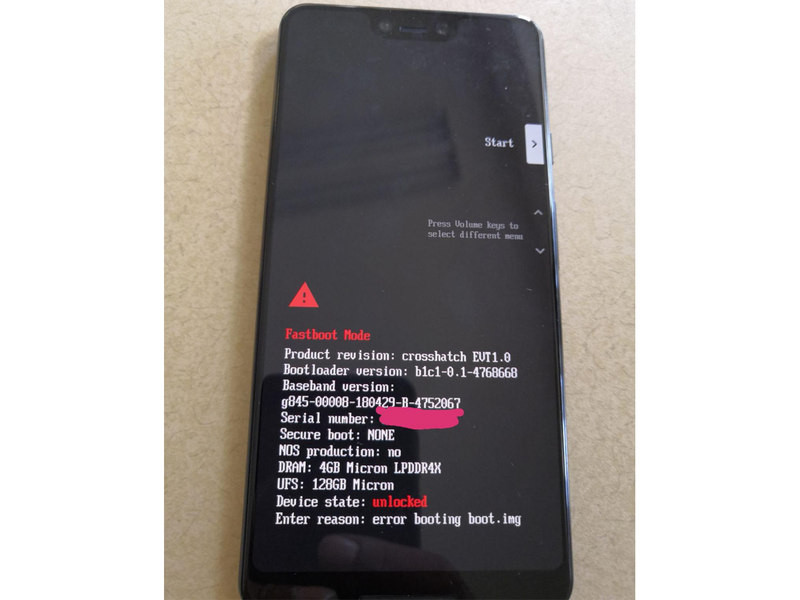 Little is known about the Pixel 3 phones' specs, except that the Pixel 3XL could come with 4GB of RAM, as suggested by the leaked image. The leaked photo also shows that one of the Pixel 3XL variants will come with 128GB of storage. Pixel phones have usually come with the top mobile processor available in the year they're released, which could mean the Pixel 3 phones could come with the Snapdragon 845 processor from Qualcomm. 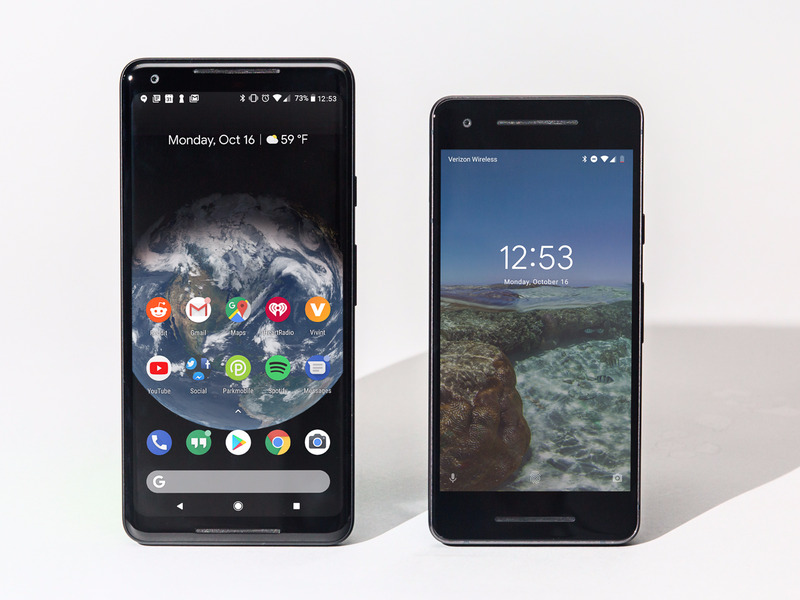 In terms of availability, Bloomberg reported that Google plans to release the Pixel 3 smartphones exclusively with Verizon in October, as it did with the original Pixel and Pixel 2 phones. That partnership meant Verizon was the only carrier to feature the Pixel phones in its stores. Despite the exclusive partnership with Verizon, Google's Pixel phones also work with other carriers, including AT&T, T-Mobile, and Sprint. However, customers of non-Verizon carriers had to buy the Pixel phones from Google's website rather than their carrier stores. It's unclear whether that'll be the same with the Pixel 3 phones, but it's likely to be the case. As with most rumors and leaks, it's best not to base and decisions or conclusions before the company announces its devices. As Bloomberg's Mark Gurman noted in his report, "The plans for the new Pixels could change before the phones are released," according to his sources.